How to group text and images in ways that make sense? What size of type? How much space between the words, between the lines? What length of line? The basic problems of typography do no change, just as human beings go on reproducing themselves in similarly sized and constrained bodies. One could write the history of typography from 1450 on as a struggle between texts and designers, whose whims and vanities have often led them to butchery, indifference, ego-driven overemphasis and profligacy. This struggle is nowhere more evident today than in the Netherlands. A rich country still, with a well-provided cultural superstructure, its predominant ethos of a high regard for social usefulness has benefited designers, even as Dutch fine artists have suffered from the new economic stringencies. A particular mixture of social application and individual licence has given birth to the phenomenon of “Dutch design”, fostered by swooning Anglo-American spectators. Any discussion of decent treatment of text and Dutch typography should start with a salute to the matchless and apparently endless stream of book typographers who work for publishing houses. Among the older generation are Wim Mol, Harry Sierman, Alje Olthof, Karel Treebus, Joost van de Woestijne. 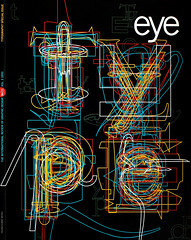 Then there are a few typographers now in middle age who have worked across the range of tasks, starting out as grid-obeying Modernists and maturing into a typography that respects and uses traditional values, but which explores and risks, while adhering to the meaning of texts and images. Among the first names that come to mind are Kees Nieuwenhuijzen, Walter Nikkels and Karel Martens. Within the Netherlands, these designers have some reputation; outside they are more or less unknown. Martens might be cited as an exemplary instance of someone whose work is rooted, not interested in fashion – and fresh. On finishing as a student at the Arnhem school of art in 1961, Martens became a freelance graphic designer, as he has remained ever since. Although able to work over the whole field, he has specialised in typography, especially for books, and he is also a committed and prolific maker of free graphic work. The juxtaposition – and separation – of these activities is an enlivening factor in his production. His first major client was the publisher Van Loghum Slaterus. Martens designed cool, geometrical images for covers and left-ranging books, it was also a dead end. This was a period of general crisis for post-1945 Modernism, which by the late 1960s was finding that blind pursuit of the economic miracle and of bureaucratic rationalism was not enough. In keeping with the times, the small firm of Van Loghum Slaterus was incorporated into the large combine of Kluwer. Designers are dependent on their “commission-givers” (opdrachtgevers: the Dutch word is better than our sleazy “client”). This is especially true in the case of a designer as sensitive and socially minded as Martens. In 1975 he found the client through and with whom he could develop out of the dead end. This was the Socialistiese Uitgeverij Nijmegen (SUN) – a publishing house with a clear commitment which had grown out of the Dutch student movement of the late 1960s, at first publishing stencil-duplicated texts. Now martens had the chance to work on a stream of books of real substance, with a consistently socialist alignment, produced on minimum budgets: ideal conditions in which to work out his critical Modernism. There was a geographical factor too: Martens has always lived in the province of Gelderland, which includes Nijmegen and Arnhem, and one might make a case for him as a “critical regionalist”, in the term of architectural critic Kenneth Frampton. The editor at the SUN who spotted him, Hugues Boekraad, also played a role in his work, as a lively, questioning partner. Boekraad’s progress has intertwined with that of Martens ever since. Martens’ book covers for the SUN are marvellous instances of how to achieve much with very little. He set up a simple set of elements and then, with each new cover, played variations: author and title in Franklin Gothic caps (rubbed down in letraset by the designer himself), thick rules around certain edges, the remainder just space with sometimes an image. As in all his work, the choice of colours was delicate and remarkable. There was no budget for more than a standardised format for the insides of the books; text was usually set up on an IGM golfball composer. And in any case, a large part of the SUN list was reprints, offset from other publishers’ editions. Here the covers play a vital role in linking the books despite either wildly varying insides. There is a thesis to be written about graphic designers and the socialist publishers of Europe at that time. In Britain, the radical left, in particular in its more intellectual manifestations, had since the mid-1960s used some of the best designers (Robin Fior, Ken Garland, Derek Birdsall, Jerry Cinamon). And just when Martens was working for the SUN, Pluto Press, once the publishing arm of International Socialism, had Richard Hollis as its de facto art director. Indeed, the paths of Hollis and Martens run closely parallel, especially in the turn from dry geometry to a richer, more flexible, but still clearly Modernist approach. A more demanding thesis still would look at the use of typographic indentation to articulate text, in relation to social and political change, as deployed in the typography of Martens and Hollis, 1965 to 1993. In 1977 Martens began to teach part time at the school of art at Arnhem. He is still there (two days a week), and this has helped to keep him and a family afloat, supplementing the poorly paid but otherwise rewarding work he does. His teaching has helped to consolidate what one might now speak of as a school of “Arnhem typography”. Before him, Jan Vermeulen, Kees Kelfkens and Alexander Verberne had helped to establish a serious interest in typography at the school. Now there are about 20 years’ worth of Arnhem students, a few from each class, who engage with typography as a serious, life-absorbing activity, concerned with making texts accessible without the interposition of a designer ego. The starting point is always: is this text worth publishing anyway? Talk to Verberne and you may see him ironically wiping the dirty café table with some pretentious piece of graphic design. Talk to Martens, and you will find him throwing things down – even work that bears his name – with the comment “another superfluous book”. Karel Martens stopped working for the SUN in 1981. His fiery editor Boekraad left a little later, and in 1986 was launched as a critic and theorist of graphic design with a remarkably through and penetrating essay on the SUN and Martens. Since then Martens has worked in the cultural sector: stamps and booklets for the PTT, exhibition catalogues, and books, but without any consistent engagement with a publishing house. Until he became the designer of the architectural journal Oase. Oase had been an undistinguished saddle-stitched A4 production. Its editors were preparing for a new phase under a new publisher – the SUN, which by now, like all successful left-radical houses, is publishing a more general, less political list. Martens was approached, with the assumption that he would not want the job himself, but perhaps could find a student. Martens, who has always taken architectural theory as one source of guidance for his work, decided he wanted to take it on. As the story implies, the work is not well paid, and the journal is produced by a group of people in their spare time. But already, after a handful of issues, something remarkable has been created, recognised in this year’s Werkman Prize award to Martens. Once again he has a public arena in which to work out his typography. So what is this socially committed, critical typography? Without a connection to explicitly radial content, and with the eclipse of left politics through the 1980s, it isn’t obvious. In the last few years, “radical” has meant radical in form, or in fact radical in image. Architects and designers have borrowed the false prop of post-structuralist theory, in which the airy abstractions of language become everything – and material reality is displaced and denied. (Jean Baudrillard on the Gulf War was the clearest instance of this.) Text is unsettled and deconstructed, to become just image. And when this work is reproduced in magazines and annuals, its fate as mere image is sealed forever. The critical and subversive possibilities of this wild and “radical” output are then zeros. A few designers have stood against the reduction to image. In Martens’ typography, we find the power and resonance of a deep commitment to material. His preference is for materials that are a bit rough, not too perfect; if they wear visibly through use, well, that is what happens in life. You will not find any heavy varnishing on his covers, unless, as with Oase 33, it is there as an ironic comment on that issue’s special them: the metropolis. Take the simplest case, of a single sheet of paper for a letterheading. Printing some of the text on the reverse side, so it shows through to the front, provides another means of coding information as well as demonstrating that the sheet is a three-dimensional thing in the world. Another area of exploration is the edge of the sheet. Bleeding elements off the page and the rejection of the frame have always been prime devices of Modern design: in its refusal of self-aggrandisement, its effort to seek a relation to the world, to assert a social connection. Especially in his recent work, and where it is appropriate for the job in hand, Martens ahs taken the exploration of the edge further. Elements straddling the fold on a flap of a booklet carry the reader in; folded sheets are left uncut. This last device is used in Oase 34, whose theme is the interior. The reader is then an active participant, physically so; but uncut pages are also just the old, cheaper way of making books. Here we should look at the free work martens has always done alongside his design work. For some years in the late 1970s and 1980s the dominant theme was paper. In the simplest work, a pile of printed sheets is sliced through: this cut edge then provides a face, its blurry and random-but-determined marks struggling to say something about the world. These are, after all, slices of reality, as their titles say: “Karl Marx, Das Kapital, first volume”, “Financial Times 15.08.80 – 20.12.80”, “Walt Disney’s Donald Duck and other stories”. More recently martens has been making monoprints from bits of metal, especially Meccano. In one series, many overprintings result in extraordinarily intense and deep colour effects – from which a white slot shines out – as well as in three-dimensional accretions of ink. The free work with paper, with ink, with found elements informs a distinction of Martens’ typography. This is its quiet sensuality – that more powerful sensuality which the Protestant imagination allows itself – achieved without indulgence and within the terms of mass production for everyday use. In both areas of his work, the drive for economy in materials and processes is notable. Thus the reuse of old Stedelijk Museum cataloguing sheets in recent prints. Thus the comfortable format of Oase (24 X 17 cm), chosen because it uses a 50 X 70 cm without wastage. For one of his current jobs – a monograph on Wim Crouwel, marking Crouwel’s retirement from the Boymans Museum in Rotterdam – Martens proposed a format that would use the press economically and enable the material of the book to be organised in manageable units. But the book must be larger, to conform with the format of a series subsidised by the government money of the Prins Bernhard Fonds. Although the authors (Frederike Huygen and Hugues Boekraad) are critically minded, the project is inexorably turning into a monument, contradicting material economy and usability. Martens’ arguments here illustrate some basic assumptions of any critical typography. It is the task of critical typography to turn on itself and doubt. In conversation, Martens is questioning and modest about his own production. Yet he once wrote that “form is the condition through which a common life becomes possible…design determines the quality of our common life.” Where could the social meaning lie in a journal of architecture or a booklet for the PTT? What sort of example is this painstaking work – made with the help of hand-drawn visuals and without a computer in the studio – for designers who have to hurry through large workloads in large offices? What example is it to the armies of non-designers, working with DTP? And if designers look at this work, won’t they just copy its apparent mannerisms? Modesty forbids an answer from Martens, so I shall try an explanation. The mannerisms are apparent, but they do not stay still: the work develops, responds appropriately to each new task, observes and accepts the constraints of the job. There is no style, only an approach and an attitude: unapologetic intelligence and unbeatable moral integrity. Drive hard for content and for the real object, refuse the delusions of the image: that is the lesson this work offers. It will not be accepted into the culture of empty designerism, of slide shows on the international conference circuit, because in its spirit and in every detail it resists that culture. A book printed in 1,000 copies, whatever its distinction, cannot have the “social effect” of a newspaper, a social-security form, a logo for a transnational company. Martens has been happy to take on public-sphere commissions – stamps or signs on buildings - but the point is that the social cannot be estimated merely in terms of numbers produced or numbers of people who see and use. It is a question of human spirit and human culture. One finds an “aesthetics of resistance” here: a rich but meaning-constrained surplus, beyond and against the expectations of societies ordered by accounting economics and material and human waste. At this point in the argument we come back to the task of typography. Multiplication of text is a social act that provides a forum for dialogue and exchange; deliberately making text hard to read is thus a public offence. So: a page of words that say something of interest, set perhaps in Grotesque 215 (an ordinary typeface, without pretensions), word spaces equal so that the lines range freely from the left, paragraphs and headings organised by easy 5 and 10 mm indents, spaces that distinguish line from line without over-isolation or dazzle. The page reads effortlessly. In its freedom and order, it is a model for social arrangements too.